Lively and fun..made us see Matera in a different light. As we went up and down the Sassi, didn't feel tired as his energy was infectious. Thank you for an enlightening tour. Giorgio our great guide in Bari.He met us an hour earlier at the cruise terminal.He drove us safely to visit Matera and Alberobello.He was so knowledge about the history and places. He brought us some local pastry to taste. We visited the Sassi,cave dwelling and cave churches in Matera meet local artist. In Alberobello we visited his friends who living in the Trulli, we singing,dancing and taste homemade wine and snacks. We thank you enough for the amazing experience for making our good memory . Giorgio was a fabulous guide. We had a wonderful day touring with him. He took us to places off the tourists path yet retaining the beauty and authenticity of the what the sites are supposed to offer. Would recommend Giorgio unconditionally. Giorgio was an amazing tour guide! He's very proud of where he comes from & is passionate about educating visitors on the history & culture of the wonderful city of Bari, Alberobello & Matera. He is a fountain of knowledge and was happy to answer any question we had. He is such a friendly person, and patient! He knows all of the locals & this makes the experience even more wonderful for us tourists to be able to speak to them via Giorgio! If you want a tour guide, please book Giorgio, you won't regret it! Great guide, personable and willing to accommodate our suggestions. Would give more stars if possible! Giorgio is the best tour guide we have ever had! He was prompt, extremely knowledgeable, and very friendly. He communicated with us ahead of time to understand our goals for the tour, and he was very flexible about accommodating our specific interests. He went out of his way to personalize our day with stops for local tastings and to see special places not known to tourists. We would not have enjoyed our tour as much if it had not been for Giorgio's enthusiasm for the area. Thanks, Giorgio! We had a very short period of time in this incredible region of Italy and wanted to make the most of it. WE could not have gotten any luckier with Giorgio. He picked us up, got a feel for what we were looking for and quickly planned out an incredible day. His pride in his home town of Bari and the entire region and the enthusiasm he showed in sharing it with us was quite genuine and was exactly what we were looking for. Don't miss out on this incredible region and this incredible guide!! Giorgio is passionate about the people of Bari and it comes across clearly during his tour. He provides priceless and authentic insights and experiences in old town Bari. Highly recommended! Giorgio is a great tour guide. He went well and truly out of his way to be helpful. We had quite a mix of interests in our group, one keen historian another one more interested in photography and two teens who just wanted to check out the local culture and he managed to keep everyone happy and entertained for the day. We meet locals and sampled some amazing food and went off the beaten track to some really interesting places. It was a great day and I highly recommend Giorgio. I've hired a ton of Private Guides over the years both in Italy and beyond but I've just never had anyone quite like Giorgio. His knowledge of the history and culture of Bari, combined with his passion for the people, the food and even his job were simply phenomenal. Funny... he seemed to know everyone we passed by and he was so friendly and engaging that I came away feeling like I knew them too :) Super-friendly, very smart guy. Grazie mille Giorgio! TOUR GUIDE RESPONSE: Grazie Trish, your feedback is very important for me. It was a great tour and I really liked your approach. All the best! Really enjoyed touring Sassi di Matera, an ancient city we didn't know much about before our visit. Giorgio provided us with interesting background information and historical details in a very engaging manner. His walking tour was wonderful and we appreciated his insights which helped us understand the history of the area. This city is unique with its stone buildings and cave dwellings; we would definitely recommend a stay in Matera - especially if you can book a tour with Giorgio during your visit! TOUR GUIDE RESPONSE: Thank you very much for your feedback. All the best! Loved this tour through Old Town Bari and would definitely recommend it to others! As a guide, Giorgio provided an enjoyable & insightful introduction to the people of Bari along with important historical context. His style was very interactive and he helped us understand this area of Italy, but also other places that we visited during our trip. We didn't expect Bari to be a highlight of our travels, but it ended up being one of our favorite places to visit, due in large part to Giorgio's tour! TOUR GUIDE RESPONSE: Dear Amy, thank you very much for your feedback. I am very happy that you loved Bari (actually is your hometown, somehow) and I hope to meet you again! All the best! Between my wife and I, we have used TBL guides close to a dozen times in countries all over Europe. Giorgio has has simply been the best of all. Exemplary in knowledge and accommodation. 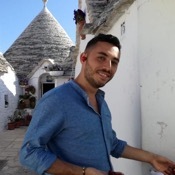 He has a love and passion for Puglia, learns what his clients want to get out of a trip, and customizes each day insuring to maximize our experience. A true pleasure to be with, and our adventures eating and conversing will be sorely missed. TOUR GUIDE RESPONSE: Dear David, thank you for your feedback. It was a very nice, funny and enjoyable tour. You wrote I am the best ToursByLocals guide you ever met but I am sure that you wrote this feedback during an apulian wine tasting, right? :) Grazie, I hope to meet all of you again! An amazing place to visit with our fantastic guide Giorgio, who was full of information and interesting historical details about Matera and the Sassi. Definitely a highlight of our trip through beautiful Puglia! A "must do" for any trip in the south of Italy. Could not recommend Giorgio and Tours by Locals highly enough! Many thanks Giorgio for an enjoyable and fantastic tour , and the gelato recommendation - best ever!! Giorgio was better than the best. He was personable, informative, and fun to spend the day with. He knew everyone and everyone seemed to know him. Our tour included many unexpected extras — food and wine tastings and a bit of the Bari old town even though we had only booked a tour of Matera and Alberobello. You MUST book a tour with him. Excellent!!!! TOUR GUIDE RESPONSE: Dear Joseph, it was just an amazing tour! Thank you very much for your mood (and for your feedback)!!! All the best! Giorgio was very accomplished with his knowledge, was easy going and friendly and adapted the tour to suit us and gave us options within the tour, such as extra visits to patricular sights if we were interested in them. We felt that we were being guided by a personal friend rather than someone unkown to us. He was very passionate about this region of Italy and there is no way that we would have known what we were looking at or where to go in the streets of old Matera. Thank you Giorgio. TOUR GUIDE RESPONSE: Dear Mike, thank you very much for your feedback and for your time. It was a great tour. Say hello to all of your family! Ciao! Giorgio was absolutely AMAZING! Traveling with him was like traveling with a friend who knows all of the local people, traditions, culture, and spots. He took us on an unbelievable journey off the beaten path with great sights, drinks, and food. He was professional, friendly, and always willing to go out of the way to make the tour special. He's also a great driver and made us feel safe. I would definitely tour with him again and I hope to remain in touch. 100% recommended! Grazie Giorgio! TOUR GUIDE RESPONSE: Dear Jason, thank you for your feedback! I am honored to be the highlight of your trip and I will be very happy to meet you again, some day! All the best! Grazie! Giorgio was utterly fantastic - we can't recommend him highly enough! Fantastic communication on setting up the tour, and then a wealth of historical and local information during it. As well as taking us to the obvious (and beautiful) architectural sites, Giorgio took us to places we'd never have gone to by ourselves, including some local houses. And for the local speciality cafe Leccese. We asked his advice on a place to go for lunch and he recommended a wonderful local place we loved. We love Giorgio! TOUR GUIDE RESPONSE: Dear Melissa, thank you very much for your feedback. I loved our tour! All the best! Giorgio was very helpful and knowledgeable. He customize the tour to our interest. Showed us a lot of places and still ensure that we are on time to embark on the cruise. It was a pleasure knowing Giorgio and getting to see and know the places with him. We had an amazing time with him. Highly recommended private tour guide. TOUR GUIDE RESPONSE: Tthank you very much for your feedback. I am very happy that you appreciate my tour and my flexibility. See you again in Apulia! All the best! We highly recommend touring Matera with Giorgio. He tailored the tour to the interests and physical limitations of our group. He's a laid back and fun tour guide with incredible knowledge of Matera and the region. TOUR GUIDE RESPONSE: Erin, thank you very much for your feedback. I am very happy that you appreciate my flexibility. All the best! Giorgio and Govanna went above and beyond to give us an unforgettable day. We visited my husband's (very small) heritage village in southern Italy and they took the time to visit the village several months ahead of our tour to prepare. They met with the town clerk, looked for genealogical records, found the house where my husband's great grandparents lived, and provided a welcoming environment for us. We are so grateful for their enthusiasm about history and making local connections. Great experience! My family and I spent a half day with Giorgio touring Matera. He did a great job of showing us the whole town and introducing us to parts of the town that aren't in the guidebook. He also was able to present the culture of the area so that we felt it was like a friend showing us around and not just a guide. We thoroughly enjoyed our time with him and would highly recommend him to anyone looking for a great introduction to Matera and the surrounding area. TOUR GUIDE RESPONSE: Bruce, thank you very much for your feedback. I am very happy that you appreciate my tour. It was great! All the best for all of you!!! I would like to call Giorgio a perfect host and an ambassador for Apulia instead of an outstanding guide. He is friendly, Polite, smiling, has deep knowledge about the region being a locals and most importantly know how to keep the child engaged whole day . He prioritized our interests still provide detail enough information to understand the history , food and culture of the region. He is highly recommended for guided tours across the region. TOUR GUIDE RESPONSE: Dibyendu, thank you very much for your feedback. I am very happy that you appreciate my tour. I loved our tour because you were great guests, very interested and easygoing. Your son "Giovanni" is simply amazing and I am happy to ear news from him often. See you again in Apulia! All the best! TOUR GUIDE RESPONSE: Kim, thank you very much for your feedback. I am very happy that you appreciate my tour and the people of Puglia. Maria still remembers you :) See you again in Apulia! All the best! My friends and I met with Giorgio and Giovanna for a two day tour of Puglia. We enjoyed every minute of our time with them. Both were friendly and easy to spend time with as well as knowledgeable about the area. They transmitted their love of Puglia to us and made us feel welcome in their home. Many thanks. We plan to visit again and will call upon their services as well as recommend to our friends. TOUR GUIDE RESPONSE: Dear Rosemarie, thank you very much for your feedback and for the amazing time we spent together. It was a veey nice 30 years old birthday tour for me :) See you very soon in Puglia! Giorgio was knowledgeable, personable and attentive to our needs and requests - in essence all you want in a guide. His tour of Lecce was the highlight of our trip. TOUR GUIDE RESPONSE: John, thank you very much for your feedback. I am very happy that you appreciate my tour. See you again in Apulia! All the best! TOUR GUIDE RESPONSE: Thank you Gary! It was a great tour. All the best! If you are lucky enough to go on a tour with Giorgio, then you will have a fabulous experience. Giorgio has passion for the area and shared it with me. He was generous with his time. He added in extra places to do what I wanted to do. He was very communicative. He really was able to figure out how I wanted to approach the area and adapted. He is a lovely person and I hope I can travel with him again. I was a woman traveling alone and this did not make me uncomfortable in the least bit. He is fabulous! TOUR GUIDE RESPONSE: Dear Nancy, thank you for your beautiful words. Solo travelers need more attentions and I loved to adapt our time to your needs. I hope to see you again. All the best! Our private tour of Matera was outstanding! Georgio was an excellent guide whose deep and passionate knowledge of Matera was extraordinary. He provided not only the historical background and significance of Matera and the Sassi but also gave us insight into the culture of the region, both past and current, as a part of Italy's south. Because he is from Bari, on the coast of Puglia, Georgio was also able to provide suggestions for the rest of our trip, which was extremely helpful. TOUR GUIDE RESPONSE: Dear Leslie, thank you very much for your feedback. It was great! All the best! Giorgio is a fabulous guide. He not only knows Bari intimately but also has a passion for it that is infectious. He showed us all the wonderful historical sites as well as the best food places in town where we ate everything from just-out-of-the-oven focaccia to just-out-of-the-sea octopus. And handmade burrata, sun-dried tomatoes and incredible pistachio gelato. Then he brought us to meet two warm-hearted women who taught us how to make pasta that we actually ate. What a wonderful day with Giorgio. TOUR GUIDE RESPONSE: Judith, thank you very much for your feedback. If you feel "INFECTED" it mean that you are like a local. We love our people and our culture (yes, as you know food is culture for us) and for me it's just amazing to meet people like you. Grazie! TOUR GUIDE RESPONSE: Val, thank you very much for your feedback. I am very happy that you appreciate my tour. Feel free to contact if you decide to come back to Apulia. See you again! Ciao! Knowledgeable and accommodating, we had an excellent experience sharing the wonder of Matera with Giorgio. TOUR GUIDE RESPONSE: Janet, thank you very much for your feedback. I hope the best for you. We found Giorgio very accommidating as we wanted to go to the "white city" not Otranto. He was very knowledgable about the area we passed and went to. His knowledge was varied and frank, yet conveyed with care and attention to detail. We were never hurried and our stroll around Lecce was lovely, especially the lovely couple with the paper mache shop. We throughly enjoyed our tour, thank you. TOUR GUIDE RESPONSE: Rodney, thank you very much for your feedback. I am very happy that you appreciate my flexibility. See you again! Ciao! Oh what a fantastic day. We chose this tour so we could have the "local" experience and Giorgio did not disappoint. Arriving on time, Giorgio drove us safely & comfortably to visit Alberobello & Matera. Giorgio's flexibility to accommodate several "espresso", wine, cheese and olive oil stops, while sharing his knowlege of the region and giving us many "unique" opportunities that only a local could arrange. Don't miss this tour with Giorgio. Excellent local knowledge and excellent English. TOUR GUIDE RESPONSE: Dear Linda, I am very happy because of your satisfaction! It is very important to be flexible, even because this part of Italy is not very famous and you can't leave it with a "classic" visit of the monuments. The beauty of this area is people and real life and this is what I love to show. Ok, espresso wine and olive oil are amazing and it makes it easier for me! :) All the best and... Grazie! We had a wonderful day in Puglia with Giorgio as our guide. He is very passionate about his local area and we were able to learn a lot about Southern Italy and Puglia in particular. We visited Alberobello and Matera both fascinating places made so much more interesting by being shown around by a local. It was a very relaxed day . Would happily have Giorgio guide us again And would recommend him highly. TOUR GUIDE RESPONSE: Dear Wendy, thank you very much for your feedback! I loved our tour very much and I hope to see you again to discover other hidden gems of my region! Ciao! TOUR GUIDE RESPONSE: Thank you very much for your feedback Olga. I loved our tour and I hope to see you again. Another great tour by a phenomenal guide. Giorgio shows you both the places and the people who make the old city of Bari a unique area. I highly recommend Giorgio and this tour. TOUR GUIDE RESPONSE: Tony, thank you very much for your feedback. I hope the best for you, my friend! Grazie a te per essere venuto a scoprire questo angolo d'Italia così autentico! Great atmosphere (like family :)). Great organization. High flexibility. We saw places that we would not discover. We felt the real taste and smell of Bari and Puglia. I travel a bit but it was phenomenal. Thanks to Giorgio and Giovanna :)! TOUR GUIDE RESPONSE: Adam, what can I say? It was more then just a tour. Thank you very much for all your love. We hope to se you and your family again, very soon. This was a great tour by a very knowledgeable guide. Giorgio knows how to combine historical details with the friendliness that is one of the greatest assets of southern Italian culture. Grazie Giorgio! TOUR GUIDE RESPONSE: Tony, thank you very much for your feedback. I hope the best for you, my friend! I highly recommend Giorgio! Seven friends and I were lucky enough to spend a few hours with him as our guide on the "People of Bari" tour -- he treated us to a wonderful insiders look at the marvelous old-town, and truly brought us into the lives of the beautiful, warm and welcoming people of Bari. We hung out at the fish market and sampled the fresh catch, walked the streets where everyone seemed to know (& love) Giorgio -- leading to fantastic interactions with great. A favorite day of a 12 day trip! TOUR GUIDE RESPONSE: Dear David, your tour was just a starter, a small taste of our culture. I hope to meet all of you again in my region, I will be very happy to share with you all my passion. Grazie! All the best! We had the best time during this tour! Giorgio gave us the full experience by being flexible with what we were interested in and brought us to local areas that were less touristy. We had the opportunity to try food products and had a great stop for lunch. Not only did he tell us a lot of information and history about the area, but he engaged us with the locals by talking to them, trying their food and learning how the locals lived. I recommend this tour to everyone! TOUR GUIDE RESPONSE: Dear Haley, thank you for your feedback. It is just wonderful meeting people like you, able to enjoy every single little part of a foreign culture. Thank you for the great time together! Giorgio is a terrific guide with a deep appreciation of the local customs and people to complement his extensive site specific knowledge. He is also warm, funny and smart. We loved our tour of Matera with him. TOUR GUIDE RESPONSE: Dear Kenneth, thank you very much for your feedback. I hope to see you again. Giorgio is an outstanding guide - extremely knowledgeable and very obviously loves his job and his city. We thoroughly enjoyed this tour and would highly recommend it - ask for Giorgio personally you won't be disappointed!!! TOUR GUIDE RESPONSE: Dear Anna, thank you very much for your feedback, it was a great tour! Bari is my hometown and I love to share the passion for my city with my guests. We are a group of 16 persons, and everyone appreciate the day with Giorgio. I will recommend him. TOUR GUIDE RESPONSE: Dear Christiane, it was an amazing tour and I still remember it very well. I hope the best for all of you! Thank you! TOUR GUIDE RESPONSE: Dear Anna, thank you very much for your feedback, it was a great tour! Giorgio obviously loves his town as well as the rest of Puglia. It shows in his enthusiasm and friendly manner which helped make the drive to Castel del Monte go very quickly. He took us into the real, everyday lives of people in Bari Old Town and set up food tastings, both of which were real treats. He's happy to talk about his culture and learn about others. And he's funny! Can't recommend Giorgio enough. TOUR GUIDE RESPONSE: Dear Helen, thank you for your feedback. It was a very nice afternoon and thank you for the little spanish class :) Hugs! Giorgio was a wonderful guide. He made sure we discovered and understood life in Puglia before discussing some of the more traditional points of interest. My wife and I were delighted with him as a guide, and we are going home ready to serve caffe Lecce to our friends. TOUR GUIDE RESPONSE: Dear Claude, thank you for your feedback. How is going your "Caffè Leccese"? And what about your pictures? Are they nice how you hope? Grazie... à la prochaine fois! Great tour, amazing place. Thanks Georgio! TOUR GUIDE RESPONSE: Dear Jill, thank you for your feedback. I loved the time we spent together. Come back soon to Apulia. TOUR GUIDE RESPONSE: Elizabeth, thank you very much for your feedback. I am very happy that you appreciate my tour. See you again in Apulia! All the best! In all our travels and our use of local tour guides, Giorgio was probably the best tour guide we have ever had. I love that rather than inundate us with an over abundance of history and dates, he talked about the culture and the people of Puglia. TOUR GUIDE RESPONSE: Dear Susan, thank you very much for your feedback. I hope the best for you! Hugs! Could not more highly recommend this tour! We're a family of four and spent an incredible day with Giorgio, our guide, getting to see and experience all of the sights, sounds, and delicious local dishes of Bari. This tour was extremely informative, interesting, and engaging - there is truly no better way to experience the city! Giorgio is a knowledgeable and wonderfully warm and welcoming guide who's love and passion for his city only enriched and inspired our tour. Grazie Mille Giorgio!!!! TOUR GUIDE RESPONSE: Dear Jackie, thank you so much for the feedback and for the beautiful day we spent. As you know, for me there is no better way to discover the people of my city: food, sounds, smells and smiles. All the best! Couldn't recommend this tour with Georgio highly enough. It was the highlight to our few days in Puglia. We were able to see so much in the one day which would have been impossible if we were doing it ourselves and Georgio was the perfect tour guide. Very knowledgeable and professional yet very personable. A wonderful day in a beautiful part of the world! TOUR GUIDE RESPONSE: Carol, Bruce, thank you very much for your feedback and your words. I am so happy when a tour switch in a so beautiful and customized experience. Come back to Apulia whenever you want, there are many sights to discover together :) All the best! Hugs! Giorgo was an incredibly knowledgeable guide. He was always willing to modify as the day went along. His English is great and he is a warm and personable man. My husband and I were traveling with our adult son and Giorgo related in a professional yet warm manner to each of us. His love for Puglia along with his knowledge made him the perfect guide for us. I cannot say enough positive about him. He made our trip perfect! TOUR GUIDE RESPONSE: Dear Michale, thank you for your feedback and for your words. Please, come back very soon to my Region! I have lot of secrets to let you discover :) All the best! We booked two days of tours with Giorgio and both were great! Giorgio is like having a friend who lives there to take you around and show you the main attractions but also the things/places that he likes about where he lives. He's friendly, knowledgeable and enjoys his work. His English is excellent. I would highly recommend him and would definitely tour with him if we come back! Thanks Giorgio for two great days of disovering your beautiful region of Italy! Giorgio was a fantastic guide. He was so knowledgeable and made the tour of Bari to suit our needs. We really enjoyed the places he took us to and felt like we were getting a peek into the lives of the residents and got to understand their unique culture and taste delicious foods. He was very easy to get along with and made it a memorable tour for our family. Do not hesitate to book with him, it will be a highlight of your trip! Do yourself a favor and book the lunch too! Giorgio was fantastic....So knowledgeable and personable. We learned more about the religious, social, economic and political history of Matera than we ever imagined, We highly recommend Giorgio!! TOUR GUIDE RESPONSE: Dear Judy, thank you for your feedback. I hope to meet you again very soon. All the best! The best decision was to choose Tours by locals and our Giorgio I. We spent really nice day and tour, we saw very nice places and It was incomparably better with this guider than ourself. Atmosphere and speach of interesting things was unforgettable. Thanx and we are looking forward to go there and meet Giorgio again. TOUR GUIDE RESPONSE: Dear Petra, thank you very much for your feedback. It was a beautiful sunday of smiles and fun with you and your wonderful family! Come to Apulia for a longer trip, I will be very glad to show to you all the hidden spots of my land! Hugs! The walking tour with Giorgio in old town Bari was like going back in time. This was a tour about people, the family life and culture. It seemed like he knew everyone in the narrow winding streets and they all welcomed us as his guests. It was more than learning about the old way of life but actually experiencing it with the people. 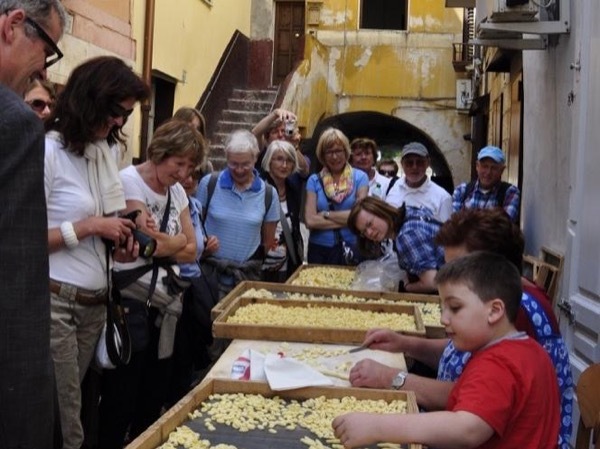 Anyone who enjoys or is interested in the history, lifestyle, food and wine of Italian culture at its original roots will thoroughly enjoys Giorgio's tour. TOUR GUIDE RESPONSE: Dear Mike, grazie for your feedback and for your words. You are that kind of "back to the roots" that I love so much. All the best! fantastic tour. very good guide!!! TOUR GUIDE RESPONSE: Hi Gilli, thank you very much for your feedback. It was a great day! All the best. Giorgio gave us a great tour. He kept it interesting for the whole group from adults, teens and a three-year-old. It was by far our best tour in Italy. Thanks again Giorgio. TOUR GUIDE RESPONSE: Dear Robert, thank you for your feedback! It was a great day also for me, with the youngest guest of the season: Duncan! All the best to all of you! We give Giorgio 5/5. He was so knowledgeable and so patient. He took pictures of us, told us about the regions history and showed us the best view points too. We really enjoyed the time we spent with him and highly recommend him for any tour in Puglia and Matera. TOUR GUIDE RESPONSE: Dear Vibha, thank you for your feedback. All the best! The best tour guide we have ever encountered. TOUR GUIDE RESPONSE: Thank you Laurel, it was just amazing to meet you! Love! We couldn't have imagined a friendlier, more helpful and more well informed guide. TOUR GUIDE RESPONSE: Dear Laurel, thank you for your feedback. What can I say? It was just an amazing experience for me spending 4 days together. Please, come back very soon to my region! All the best! Fabulous. Giorgio is an excellent well informed guide who is passionate about his city. TOUR GUIDE RESPONSE: Thank you Laurel! It was just amazing to meet you! Giorgio was an outstanding guide. He was open to suggestions, very accommodating, thoughtful, knowledgeable, and his English skills are excellent. We loved our tour. TOUR GUIDE RESPONSE: Dear Jody, thank you for your beautiful feedback. You can't imagine how I liked our tour! I would to see all the pictures that you toke during the tour, really. All the best! Hugs! Giorgio was great, a real treasure, very gentle and knowledgeable. He has very good communication skills and was able and ready to give us insights where ever we asked for. Webcam only highly recommend him for tours. TOUR GUIDE RESPONSE: Thank you Manuel, it was a pleasure. See you next year in Puglia (or in Munich, why not ). All the best! We loved this tour and highly recommend Giorgio as a guide. His knowledge and love of his country is great. He organizes everything around your needs and is very obliging. Great guide. We enjoyed our time with him. Look forward to seeing more of Apuglia at a later date. TOUR GUIDE RESPONSE: Grazie Lesley, come to Apulia very soon! Hugs! We spent three days with Giorgio as our guide. He was great. Organised all that we wanted to see, he is flexible to suggestions and his knowledge and pride of his country is lovely to see. We would highly recommend Giorgio and hope to return and see more of Apuglia with him. TOUR GUIDE RESPONSE: Dear Lesley, thank you for your feedback. I can't wai to meet you again in Apulia to visit and discover many hidden spots of my region! All the best! We very much enjoyed this tour Best of Apulia in one day with Giorgio. It was well organised by Giorgio and we appreciated his knowledge and love of his country. He was pleasant, obliging and nothing was too much trouble and we liked his "little suprises" and humor. Would highly recommend Giorgio's tours. Our group had a very informational day with Giorgio. He showed up at our start site right on time and made us feel comfortable with his leadership. He answered our questions and took time to explain things clearly. He went out his way to find a lunch site for us at the end of the tour and also getting use access to Matera underground in the off-season. We really enjoyed our time with Giorgio. TOUR GUIDE RESPONSE: Thank you for your comment, mister Randal! Your words are the best way to start this new season! Grazie! I met local families and into residences. It was it just history but life. He was terrific ! An absolutely wonderful tour that focused on local residents of Bari's Old City, but also included the standard monuments and history. The opportunity to meet various residents and talk with them, with Giorgio translating, was priceless. Tasting a variety of homemade foods, and enjoying a home made pasta lunch prepared in front of me added to my enjoyment of this tour which I strongly recommend. Giorgio was excellent. His knowledge of the people, the old town and the food was outstanding. We met locals, learned about their customs and enjoyed their food. We will recommend Giorgio to friends and family that visit Bari. TOUR GUIDE RESPONSE: Dear Paul, it was really nice showing the old town to people like you. Do you remember the building that I showed to you, where it's written "anyone enter to my house is my friend"? Well, now you are friend of all if the people we met... Thank you so much, all the best! Georgio was everything we were looking for and more. He read our travel style and expectations and followed through. Directed us toward delicious local food, provided information in a conversational style that included stories from his family. He is flexible in his approach and knowledgeable about Italian culture--particularly food traditions. Would love to travel with him again. TOUR GUIDE RESPONSE: Thank you so much for choosing to participate in this tour. I consider you interesting people, exciting, pleasant and kind-hearted even before my guests. When the flavors of Puglia will be your memories of this beautiful journey, then I will be really happy and satisfied. Namaste!